In God’s Kingdom, a promise is a promise. Words are not mere letters or throat sound, however, to those who understand the language of heaven, words are used to create, direct, command and change not only what we see in the physical but also the unseen. When we speak a word to anyone, we automatically expect a reaction. So it is with every spoken or unspoken word to God our Father, he hears and answers us. These stories have a couple of things in common, first, they were situations beyond man’s control and intervention. Second, they were very difficult times in the lives of the people involved. Third, they had a God in common, a God not made of wood or metal, the living God who answers prayers. Four, they all knew what they needed from God and this was not a guess work. Five, God was the only and last resort, there were no more options. Six, they believed in Yahweh, his word and promises. Seven, they had knowledge of the nature of God, and eight, each individual did something, there was an action that helped activate faith in there lives. 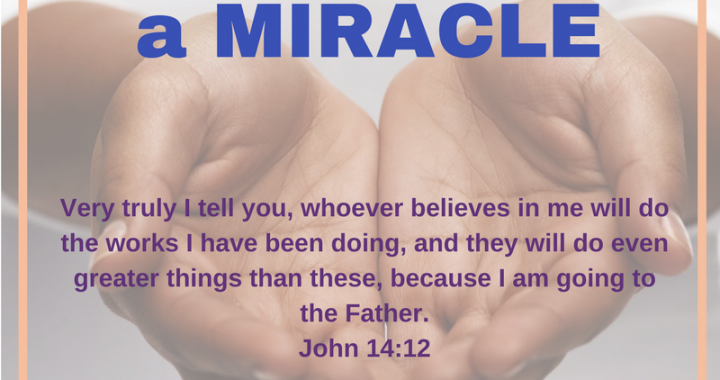 Commanding a miracle occurs when fear is totally eliminated and we dare to believe God for who he says He is. Esther would have known the God of Israel, her uncle would have told her about the God who opened the red sea for His people to walk on dry ground. The bleeding woman would have been following Jesus for a while, and seen the miracles he performed and she decided she had enough of her current state. She summoned courage, looked fear in the face and commanded her miracle. Paul and Silas were leaders who believed and spoke boldly about the gospel of truth – the good news that sets people free. They set the slave woman free in the name of Jesus and when it was there own turn to be set free, God sent an earthquake to the prison. The interventions were activated by faith; faith laced with divine instruction, prayer, fasting, agreement and action. My dear friend, you and I have access to the same God today. God has not changed and His promises are live and active to those who believe. He is the same God from the beginning of time, he is a miracle working God. All creation bear witness to the supernatural intervention of God. Command a miracle by believing in God’s word. To believe in God’s word, we must know God’s word. Time and again, bible stories confirm that when a desire is aligned with God’s word and in sync with a faith action, God commands a miracle. Father, you are God of suddenly, the God of all flesh, touch me with your power and grace. I believe in the supernatural intervention of God. I believe in miracles. I command an atmosphere of miracles over my church. I will do greater things in Jesus name. Amen. Posted in All, The Miracle Working God and tagged chains, courage, earthquake, esther, gospel, miracle, prison, spoken word.